This is a place where you can check in on books I've have found and reviewed. Comment as much as you like and if there's any questions on the books leave it in the box below the review. Hope you have fun and Happy reading!! I literally devoured this book in a matter of a day or so. I literally couldn't put this book down (that's how good it was). If you loved Jennifer's Lux series you're going to love her Origin series just as much! The characters are just not feisty and yummy but they're really mysterious and devour-able. The Lux are at it again and you won't want to miss what else they have up their sleeves! Evie's life is turned on its end the night she meets Luc in the one place she's not supposed to be; a club where Luxen mingle with humans. There she meets Luc who is not only mysterious but comes to her aid when the club is raided. Soon the two's lives become intertwined. No matter how hard Evie fights it, it only seems to bring Luc closer. As the days start to add up, Evie's life gets more and more uncontrollable. She learns things about her past and Luc and soon she has nothing to control anymore. Will Evie recover from what she's learned in time to face the real problem? The problem that no one saw coming? Jennifer did a great job on keeping the reader entertained the entire book; not once was I bored. I was itching to turn each page faster; wanting to absorb Evie's world. This book took place after the war between the humans and the Luxen. We learn even more about the Luxen and the characters past and present. I will admit, I wasn't this absorbed in the Luxen series as I was with this one. You don't have to read the Lux series to start this series! You can start with this book, it pretty much tells you all you need to know to get this book. You can always go back and read the Lux series later. Also, this book had so much going on, new and old characters introduced, elements new and old but it still drew me in. It was heart breaking at times and laughable at others. But this book really dealt with mental strength for Evie. She was put through some terrible things and yet had to decide whether to come out stronger or let it devour her. The ending left me wanting more and there will definitely be more in this series and I can't wait to devour them too! I want to know what happens next! Lots of twists and also some predictable parts too but it didn't seem to bother me. I still enjoyed reading it. Okay, the tension between Luc and Evie was sexual and high! Though almost the entire time Evie was fighting it! So it was frustrating at times to see the two interact but also realastic. I mean realistically speaking you're not going to thrust yourself at a mysterious stranger; someone you just met! He could be a serial killer for all you know! If you're smart, you'll take things slow and that's how the romance in this book played out. Loved, loved, loved Evie and Luc together. The two of them together were a hoot! I literally laughed at them since the beginning. They clashed yet were inseparable at the same time. Without one the other just didn't make sense. Luc has got to be one of my favorite characters of the year so far! He had the perfect attitude and personality. Jennifer did a great job creating him; allowing him in this world at the right moments to make the book more exciting and memorable. Some of Evie's friends like Zoe were good characters too. And Heidi. They were both great supporting characters! They were perfectly introduced into the story at the right moment to help give Evie a supporting hand. Luc's fellows were just as great as he was. I cannot emphasize how much the characters made this book so enjoyable and fun to read! Evie definitely did a lot of transforming in this book; she literally had to. Not only did her life depend on it but so did others. I don't want to go into too much detail on this; I do not want to spoil this book for you...at all. But she did transform and I imagine she will blossom even more as this series progresses. I liked that Jennifer described the scenery in a way that it kinda foreshadowed what was to come. She was poetic at times and hilarious at others. By hilarious I mean she described the scene in a way that put the reader at ease but also strung her up by her toes at the same time. It left the reader both frustrated but happy at the same time. The description was brilliant. The way the luxen were described gave the reader a idea on how to identify them later on. Also if you hadn't read the Lux series this was a huge help.
" "I don't want to talk to you anymore." "Good...I can think of a lot more interesting things to do in a tiny, dark space that would pass the time." My muscles locked up. "You try something and you will regret it." "
There's so much to like about this book, the humor parts, the serious parts and best of all the Luc parts. Definitely hands down one of my favorite books by Jennifer. I seriously encourage you to go and pre-order this now. If you liked her Lux series you're going to LOVE her Origins series too! Totally recommend this to sci-fi and Lux readers! Also, if you loved Jennifer's writing in another book, you'll going to love her writing in here! She was utterly brilliant! I just became aware of this author just a couple of months ago and I am officially addicted to her writing. I always like a good mystery with romance thrown into the thick of it. This has the right amount of action and suspense. Plenty of moments of surprise. If you're into diverging yourself in a world of solving crimes and finding time to find the good in life this is the book for you! Faith is a medical examiner who finds herself immersed in a world of crime that is tightly connected to her life in more ways than one. She soon embarks not only on a journey of trying to solve a crime but unraveling her lineage. Texas Ranger Mitchell Hayden is a hard-edge man who is hell bent on decoding clues until he solves the crime. He's all about his job and he's not looking for love. But this latest crime has him in the sights of a beautiful woman named Faith. Soon the two join forces together trying to not only solve the hit and run of Faith's possible twin sister FBI agent Macy Crow but the trail she left behind before her hit and run. The clock is ticking down and bodies are piling up, will these two decode the clues before the killer comes after them? I loved this story, it had a lot of ups and downs that left the reader reading late into the night. There were plenty of twists and surprises along the way to keep the reader entertained. There were scenes of crime and scenes of redemption. Lots of scrambling and a race against the clock. You can really get a sense of the urgency in each scene. There were parts where it allowed the reader to take a breather and have a little comic relief. If you're into murder mysteries excitement this is down your alley. There were a couple of predictable scenes, like I guessed some of the things from nearly the beginning of the book but the main mystery of all; the person who did it, was a surprise to me. So it didn't deter me from enjoying the book. Ahh, romance. There was some sexual tension between Faith and Hayden. They even had a interesting past and soon the two are fighting to keep things how they were before but love's cupid keeps drawing them closer. Though this wasn't the major part of the book, it was beautifully in-twined and created a great atmosphere for a mystery romance. Faith was an interesting character. It didn't take me long to get connected with her. Though she was a bit naive in some scenes. But she was strong emotionally in others. Hayden was a little cold to me in the beginning. It took me awhile to get connected to him; to even root for him. Which is a little odd because all of her previous books I've read from Ms.Burton I've always immediately or close to immediately connected with them. Macy Crow was a secondary character but she added texture to the story that allowed the main plot to flow. The serial killer was a great mystery and loved reading from his mind. *shiver*. Faith in a way transformed but it wasn't as noticeable as others have been in the past. It was subtle and fluid. Hayden's transformation was more noticeable and I enjoyed seeing him grow into the man he was meant to be. The information was well researched and though I'm no medical examiner or law enforcement officer it really rang true to me. The description of the autopsies and the way the clues were left really left a realistic feel to the story. The scenes of the crimes were tastefully done, done enough to get the point across but not too grisly. I just really enjoyed how each scene was described from the scenery down to the clues. They were all important factors to the story. The way the characters minds were described were well established too. It allowed the reader to understand what was happening and why it was happening. Just the description of the characters themselves allowed the reader to really picture how they appeared and identify them later on without a single name being uttered. This was written in third person and multiple point of views. Being written in third person just allowed the reader to see a wider view of each scene and get to understand the information in a better perspective. And being written in multiple point of views allowed the reader to understand the story better. To get all the pieces of the story and put it together into a giant puzzle. Very well thought out. And Burton's writing is a real treat. Very easy to get lost in her writing and pass the hours. This book will be finished before you even really even grasped everything that was written in the story. "Two buzzards circled overhead...Like him, buzzards didn't have an elegant reason for being. Like him, they cleaned up mess death left behind." 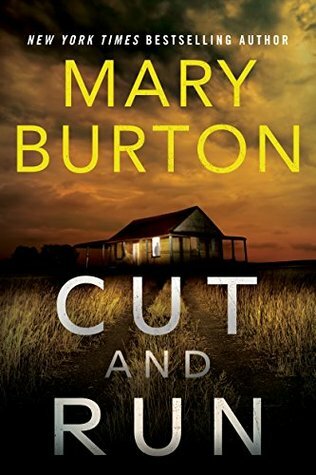 I really enjoyed this book and will continue to look forward to other books written by Mary Burton. She has a way with mysteries that has really grabbed my attention. Totally recommend this to any reader in for a fast and unbelievable read! Highly recommend to go pre-order this book now! This was such a deep and dark book that dealt with issues both psychological and physical. I don't know what's been going on lately. I've been picking up books that deal with psychological and mental issues. I mean it's not necessarily bad but it kind of gets you messed up. Does that make sense? 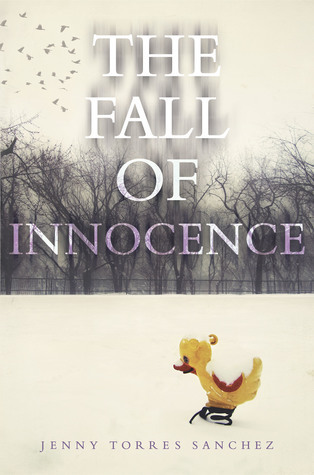 This book may have not cut me as bad as "The fall of Innocence" but it still sliced me open. Eli and Maya come from two different worlds but yet are made of the same mindset. Eli was kidnapped at the age of 11 and then 5 years reappears in the form of a bomb in the middle of the mall surrounded by his own mind and what he was brainwashed to do. Enter Maya. Always been plagued by anxiety but is at the mall with her father waiting in line to get his picture re-taken on his driver's license. She see's Eli in a kids wolf mask holding his thumb down on a bomb. 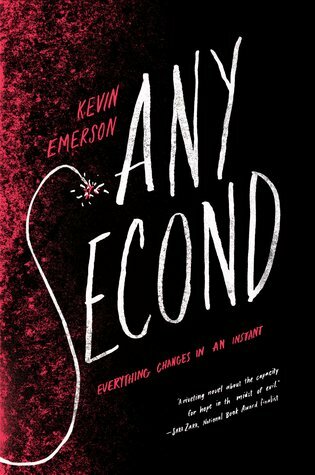 Soon the two's world collides and they're both drawn together in keeping the bomb from exploding; saving not only their lives but everyone else's. Flash forward 8 months. Eli and Maya have not seen each other since that fateful day and now are thrown in the same school. Both their families not wanting to do with the other but the tension flies with the two. Eli's captor has yet to be found and Maya's anxiety has only gotten worse. To top that off there's a certain threat looming over their school. Can they heal not only themselves but save others from their fate. The main focus of the book is the survival of Eli and Maya's mind. They both have a tormented mind and are living on the outside. They both make bad decisions but each one learns from them or at least tries to. The threat of "Gabriel" Eli's captor is what drives Eli to the point of fear. He has all of this brainwashing from him (5 years worth). He keeps thinking what Gabriel would think and hardly has thoughts of his own. He lives in fear almost the entire book, which was devastating at times to read. And Maya, she lives in the constant play-over of the almost detonation of the mall bomb. She resorts to picking her cuticles and pulling her hair out. It was really fascinating to see how each character adapted to what their life gave them. Some were braver than others while others could barely keep their heads above water. The plot itself, was pretty much predictable. I guessed the twists before they were revealed and I knew pretty much how this would end. Though the ending left me with a few questions unanswered. Were we as the reader supposed to draw our own conclusions? Or perhaps there's another sequel in the works? It's always hard to know for sure when reading an ARC. The romance wasn't a thing in this book. Don't get me wrong there were relationships but this book wasn't about that. This book is all about trying to heal and be comfortable with who you are. So romance definitely wasn't the focus of this book. Eli was a weak character to me but was considered one of the protagonists (or antagonist in his mind). I know he went through a lot but it wasn't like he was really trying to get better most of the book. He annoyed me at times too and was so naive. But again he was taken as an eleven year old and grew in a very sheltered life for five years. So, of course he's going to be naive. But then again there is such a thing as common sense. Some of the things he was witnessing should've been addressed immediately and I would hope an average person would address them right away. Maya was a pretty good character. I could relate to her in some ways when it came to her anxiety. We both just had different ways of dealing with it. She was weak at times as well but stronger in some areas. I still don't think we got her whole back story before this story even started but I guess that was meant to be. The other secondary characters like Eli's first friend and Maya's friend were brought in and out at the right moments. Though the parents left me yearning for a few better traits....but Eli's sister was one of my favorite secondary characters because she brought the relief the reader needed at just the right moments. Both Eli and Maya did some transforming, some more in some areas than others. But I think out of the two Maya did the most transforming. She had so much stacked against her (the main thing being herself). But by the end she seemed to be different in some areas but same in others. Eli on the other hand seemed to struggle with this part of the book. The description was well thought out. The imagery of Eli and Maya's emotions really painted what it was like being them. To feel what it was like being in extreme sensory situations. The feeling of feeling desperate and out of control when nothing seems to work to rope you back in. Mr.Emerson painted a kaleidoscope of emotions in this book and allowed the reader to experience emotional situations that the reader might never have been in before. The description of the scenes was well thought out and I could detect some foreshadowing at times as well. And the psychology of the book could've used a little bit more research. I feel like some areas in Eli's perspective could've used some more detail. Like perhaps Eli reacted in certain situations a little too dramatic or maybe not dramatic enough. Of course, I'm no psychologist so my opinion on this area could be off. This was written in first person and in Eli and Maya's point of view. Being written in first person allowed us as the reader to experience and view the character's perspective. I really liked that Mr.Emerson did this. I think if it had been written any other form, we wouldn't have been able to understand Eli and Maya's world. To be able to see how they perceived themselves around others. And the back and forth of Eli's and Maya's point of view allowed the story to flow and be experienced at it's optimal level. Mr.Emerson's writing was really well thought out and unique. I've never read any of his previous books so I went into this blind in that perspective. But I enjoyed it and think I would definitely enjoy reading more of his writing.
" "Innocence is ignorance. And the ignorant are complicit. You are not longer one of the sheep, are you?" I shake my head..."I am a wolf."" I really enjoyed this book and look forward in seeing what others think of it too. There's so much for this book to offer so I hope some of you take a chance on it. It definitely provided me with insight to a person's soul and the crippling side affects of anxiety (and let's be honest I really do know the crippling side affects of anxiety). But this is definitely a book to read if into the concept of psychology. When November 20th comes, go download or order this book, it sure will break you and put you back together in a new way; a way that will leave you more beautiful and stronger. Caution! Trigger for victims of PTSD, Sexual Assault and Mental Illness!!! Emilia DeJesus was a victim of sexual assault when she was a young kid. But now in her later teens things begin to change. She remembers parts of it and thought she knew for sure who the assailant was but soon that all comes to surface when new evidence is brought forward. Soon Emilia's life is turned upside down and her life becomes this big pool of water where she can hardly get her head above surface. She soon starts to find a place of her own that she can control, while her life is torn to pieces. Even her current boyfriend, brother and mother try to get her through her life but will it be in time to save Emilia before it's too late? Emilia is the main focus of this story and her struggles to come to terms with her assault. And on top of that though it's not discussed in detail her mental illness in the form of hallucinations and depression. What I couldn't understand was why her mother couldn't get her the proper care she needed. Coming from someone whose been in a psych ward her illness should've ended with her there as well. If I was her mother I would definitely push the subject for the safety of my child! I mean that is one major plot hole. But other than that it was very realistic and devastating to read. In a way the end result was the climax and that it ended in such a way it was hard to grasp what really happened! Definitely spooky in the sense of her mind but enlightening in a sense I learned how her mind worked. I've been interested in psychology for a while now and it was fun to learn the inner-workings of Emilia's mind. Lot's of turns and pivots but enough slow moments to allow you to gather yourself and move forward. There was romance in this story but it wasn't really the main focus. Yes Emilia's boyfriend did everything he could to help her but I think Emilia herself wasn't focused on their relationship. It was heartbreaking to read such dedication of her boyfriend and how far gone Emilia was at points. But other than that I wouldn't say this was a romance novel. Emilia was a character I could understand but not all the way relate to. I'm not as far gone in mental illness than she was in the book. But Emilia was complex and full of texture, meaning she had so many angles and details to her that I'm still not sure I fully grasped them all. But I liked her in a way that she was trying to fight all her demons. The friend she met in the story was an interesting choice. The friend was a friend and not a friend at the same time. They were both wrapped up in themselves to understand each other. I'm still trying to determine whether the friend added to the story or just was there. Emilia's support system like her brother, mother, and boyfriend were very nice to meet and read alongside them. They definitely made the story the way it was meant to be. They made the reader to understand that Emilia had people that cared about her and wanted to see her pull through and create a better life for herself! This is a tricky part of this book. In a way I think I saw some transformation in Emilia and downfalls in other parts. So yes and no she transformed. As for other characters? I think in a way the mother and boyfriend transformed. They learned a lot from Emilia and therefore, became someone new. This was the best part of the book! The eerie way the author described each scene was remarkable. The description was like poetry, so poetic and beautiful. And the foreshadowing was well placed and executed! The crows were a huge symbol in this book and it lead to eventually the climax. It was remarkable to see such vivid and realistic detail that it seemed like I was there. The description of Emilia's mind, like I mentioned earlier was really interesting and well described. The psychology alone in this book was well executed. Also, the triggers in this book were well placed but hard to read. The author had to have had either done a lot of research or experienced it herself for her to get it the way she did. It seemed so real. This was written in third person and multiple point of views (POV's). I liked we were really able to experience everything alongside Emilia herself; to experience each and every critical moment. And to also be in the major characters point of views to see how they responded in critical moments too. As for the the third person, it really gave the reader a way to relate or understand Emilia and the other character but also take a step back at the same time.The author's writing was captivating and enjoyable to read. Though the reading was difficult at times to read, it really was hard to put down! "She looked at herself in the mirror again, at the judgmental image staring back at her." Though this book isn't for everyone, I very much enjoyed it. It has been one of my favorite psychological reads of the year. I can't wait to experience what other books Ms. Sanchez has in store for us! So, if you think you're strong enough to read this book, I would totally recommend you go download or pick up a copy today! I've always been fascinated with this series. From the first moment I finished "The Butterfly Garden" I was hooked on this series.If you haven't read the first two books in the series "The Butterfly Garden" and "The Roses of May" I caution you to read those two first. Though it isn't all that necessary to understand this story. Also this may have triggers for those that have been through abuse as a child! So stay steady! Other than that I really enjoyed this book and it didn't let me down. His parents weren't just murdered. It was a slaughter-- a rage kill like no one on the Crimes Against Children team had seen before. But they're going to see it again. An avenging angel is meting out savage justice and she's far from through. One by one, more children arrive at Mercedes's door with the same horror story. Each one a traumatized survivor of and abusive home. Each one chafing at Mercedes's own scars from the past. And each one taking its toll on her life and career. Now, as the investigation draws her deeper into the dark, Mercedes is beginning to fear that if this case doesn't destroy her, her memories might. This book started out slow, it took me a little bit to get into it. But once I was able to immerse myself in their world again it picked right up. It dealt with a lot of sensitive issues with both sexual and physical abuse. Not really graphic so it was okay in that sense. But it was definitely hard to read at times because of the content. These kids ranging in ages had to witness their parents killed in front of them...just the psychology of it was mind blowing. Definitely a book for psychology majors and fans. The ending was satisfying in one way but not in another. Not going to go into too much detail but the ending wasn't surprising and left me a little frustrated. The twists were good, it always popped up when you least expected it. It definitely tied in the first two books some but it was subtle. Anyways it was pretty good overall and definitely left the reader yearning for more. Though I do think there will be another book, definitely left an opening for one. There wasn't really much romance in this book. I mean the main character Mercedes's did have a relationship but it wasn't the main focus of the book. I think it was a wise choice not to make it a big deal because it would've made the book more chaotic. But her relationship and perhaps another one near the end gave the reader a comic relief. It let the reader take a break from the main conflict of the story and focus on something less serious. I thought Mercedes was a great and likable character. She was strong and weak at times making her a more reliable and realistic character. The other characters from the first two books were brought in at the right times and added and even more enjoyable experience. Some of the characters were really enjoyable to read along with while others were an added dread. Mercedes girlfriend especially was hard to enjoy, she just couldn't deal with what Mercedes had to do for her job even though she also worked for the FBI. But she did work in a desk job so their two worlds were totally different. And the children were hard to read about, they had such a horrific life and yet was made worse by being an orphan. Anyways definitely relateable characters that were put into the story when needed. Mercedes did some transforming in this book, though she stayed the same some too. It was like she had to overcome her past but at the same time had to keep some of her old self. Anyways it was fun to see her overcome her obstacles and see her become who she was meant to be but I think she still has some transforming to do. Whether she does, we might never know. Like I mentioned above the scenes weren't all that gruesome, but the situation and how it was described made it seem so terrible. It made you feel and become a part of the story. I thought the author did a great job on describing the scenes and allowing the reader to understand the severity of what was happening. Also the way the world was described and built allowed the reader to really picture each scene. This book was written in first person and in multiple POV'S. I think it could've perhaps been better if it was in third person because it would've given a wider expanse on seeing all that was happening but then we wouldn't have been able to connect with Mercedes and understand her view of the situation. So I'll just leave it at that. And the two pov's just left the author yearning for more view of the story. The writing itself is easy to read and get attached to. Very inspirational and fun to read. "There's an outer limit to how much you can heal. There comes a point where time just isn't a factor anymore: it's done as much as it can do." Loved this author's stories and writing and look forward to see what else she has in store for her readers! She definitely has a keen knack for writing and has an eye to detail and getting the reader to engage in the book. Whether it be sitting on the edge of my seat or sitting as cool as a cucumber. I definitely recommend this series to anyone who loves good writing and FBI inspired writing. 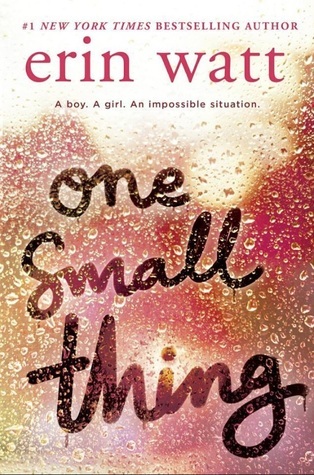 I voluntarily read and reviewed "One Small Thing" by Erin Watt. All thoughts and opinions are my own. Beth's life hasn't been the same since her sister died. Her parents try to lock her down, believing they can keep her safe by monitoring her every move. When Beth sneaks out to a party one night and meets the new guy in town, Chase, she's thrilled to make a secret friend. It seems a small thing, just for her. Now Beth has a choice to make---follow the rules, or risk tearing everything apart...again. This book had a lot of ups and downs in the emotions department. From the very beginning it started out strong, it only wavered in a few areas. But the pulling of the emotions was a bit exhausting but so worth it for the end result. This book did deal with a some-what difficult topic.This book even dealt with bullying, it was heard and devastating to read. To think people can be that harsh and ragged. Definitely hard to read at times. Also the issue with Beth and her sisters' death...definitely complicated. But it was so empowering to watch Beth develop over the course of the book and even her parents. I've never had to deal with parents like Beth's because my mother had always trusted me to be safe and take care of myself. But Beth was such a strong character that yes, I could understand why her parents were so protective, but to go through the extremes they did was unbelievable. Death of any family is hard but a sister or sibling must have been devastating. So throughout the book, Beth is dealing with coming to terms with dealing with her problems without her sister and letting her go. Being happy once more, and in the arms of perhaps her sister's killer. But there is definitely a big twist near the end, one that changes your view of a major situation. So be on the lookout! Beth like I mentioned above was a great character. She had her flaws but was easy to connect with but a bit immature at times.But I still enjoyed following her along her journey. Chase was harder to like from the beginning but after I got to know him and understand him I was able to connect with him. The other characters like Beth's parents added more texture to the book. Her parents were very hard to like but I guess that added to the story. Added more problems and sub-plots. I don't know but the only characters I truly enjoyed getting to know were Beth and Chase. Beth did some transforming in the book. She transformed from someone who was vulnerable and a bit weak to someone willing to stand up for herself. I loved seeing her develop throughout the story; it was uplifting. Some other characters developed and transformed throughout the story as well but I don't think I should mention them in case they spoil the story for you. I loved the description in this book; especially when it came to describing the characters emotions. It was like being inside Beth's head and experiencing every one of her emotions. Also the other characters were well described also. The scenery was also well described too. I remember the swing in the backyard, it was both a symbol and a link so it was important to describe it. The world was realistically described and so was the situations. In this type of book you need to be realistic, makes the book more enjoyable and fun to read. This was written in first person and one POV. Being in first person allowed the reader to better connect with Beth. I was really able to experience the emotions in this book well. Even though it was exhausting, the emotion roller-coaster made this book. Also just being in Beth's point of view allowed the reader to better focus on Beth. To really get the feelings behind the book. The author's writing was excellent. I really enjoyed Ms.Watt's writing in the first book I read by her so I had just as high expectations as that book. She did not disappoint. It was captivating and intriguing all at the same time. "I'm tired of being patient. I'm tired of doing things other people think I should be doing. There's nothing wrong with the concept of us. I won't let us be wrong." I really enjoyed the language and beauty of this book. Ms.Watt has a way with words that brings emotions to the surface and makes the reader want to jump off the cliff right with Beth. Loved the writing so much that I really can't wait to see what else this author has in store for her fans. 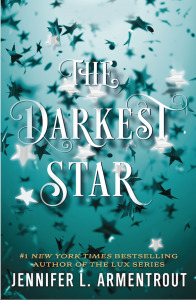 I recommend this book to romance readers and to anyone who loves a good story with deep thought. So go out there and pre-order, trust me this book is worth your money. 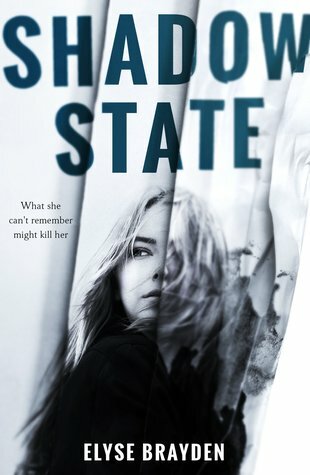 I voluntarily read and reviewed "Shadow State." All thoughts and opinions are my own. What Brynn Caldwell can't remember might get her killed. Brynn is a promising science student recovering from a bad relationship that sent her spiraling into a depression. But as she puts the pieces of her life back together, a few don't fit. Brynn is uncovering memories of being abducted and possibly brainwashed. It's all connected to a drug that might be an ultimate weapon: a tool to control people's memories. Now, to stop a possible terrorist attack, Brynn has to find out what she's been forced to forget---and what side she's really on. Like I mentioned above the plot was pretty good, very fast and had some mystery. The problem I had was some of the plot was predictable and the ending was frustrating and lacked a good conclusion. I don't want to give anything away but I felt the ending left a lot of questions unanswered and the reader yearning for a better outcome. Also, the plot had a lot of information that would need to be researched and I think the author did a good job on that. Though I'm not sure if it was accurate but it seemed real all the same.It was creative in some ways too, like the science behind the mystery drug that's talked about throughout the whole book. This is a short book compared to some books nowadays, so it makes it a fast read, can be read in one or two sittings. So if you're looking for a quick read this is the book for you. I wish some of the parts weren't predictable; would've made the book more interesting to read. But maybe to some this story would come as a total surprise so I wouldn't knock it for that one aspect alone. There was romance in this book but not one I particularly care for. It seemed odd and forced so I was not a fan. I think this book would've been better without the romance but in the end I knew why it was needed, it did add to the plot. Without the romance things in this book would not have been possible. But I didn't like it, so if you're a romance reader this is not a book for you. Brynn was an okay character. She was fun to get to know and understand. Her memories were tampered with so it was hard to get to know her that well. But the parts where she was lucid she had a lot of deep emotions and thoughts. Some of the decisions she made I would have done differently but that's what makes her unique and real. She had her own thought processes and personality. Her mother was stiff and cold and I would hate to have her as my own mother. Dex was really the main mystery in this book. He was just as mysterious as the drug itself. I couldn't always get a good grasp on him so I didn't always know what to expect from him. All the other characters were good and were needed to add to the story-line so they were worth it. But like I mentioned earlier I wish I could've gotten a better grasp on Brynn (main protagonist). But maybe she was meant to appear that way; maybe that was the authors's intention all along. This is a tricky part of the book to tackle. Yes in a way the Brynn did transform but some areas she didn't. It was the whole memories being contaminated that made this a tricky area to discuss. And I cant' really discuss much more without giving the story away so you'll just have to read it yourself. This was one area of the book that I really enjoyed. The description of Brynn's world and her thoughts and feelings really added some mystery to the story. Though the beginning chapter I think had too much description. I think it could've been cut down some and still get the point across. But as the story progressed it did get better. Brynn's emotions and thoughts were well described and allowed the reader to get more attached to her when she was expressing them. The description of the scenery and world was good also. We got to really picture what was happening and see the foreshadowing in some places. This was written in one POV and in third person. Being written in only Brynn's point of view only allowed the reader to see the world in one perspective. It left most of what was going on a mystery (well to some readers). I will admit there were some surprises and twists I didn't guess or see coming. So yes it's not completely predictable. Being written in third person allowed the reader to be a little detached from Brynn and see a little more of the world just not as much as if it were in more than one point of view. The author's writing was excellent, I would totally read more by this author, just in hopes the ending to her next book would be more fulfilling and satisfying. Can't do a direct quotation because this book isn't out yet and the publisher asked the reader to not to put any quotation from the book. But just know the writing is excellent and fun to read. Though I didn't always enjoy all parts of this book; it was excellent writing. It enticed the readers and allowed them to explore a world not of their own. 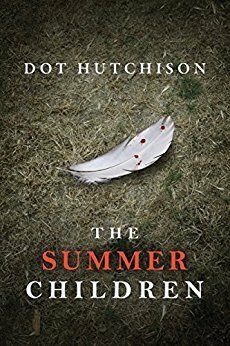 Don't know if I would recommend anyone to read this because of the ending; but I would recommend keeping an eye on this author. Read whatever else she writes; perhaps the ending will be much better. But if you're looking for good writing this book has that. I leave it up to you as a reader to make the decision to read this. Best of luck to you, fellow reader! Let me know what you think!! Lacey has read 15 books toward her goal of 50 books. Lacey has read 1 book toward her goal of 113 books. Lacey has read 82 books toward her goal of 112 books. Share book reviews and ratings with Lacey, and even join a book club on Goodreads.